Many people find writing a thesis for a research paper a very challenging task. Usually, certain standards are required to make the research paper relevant. A good research paper entails developing an argument, which can be proved using research, logical reasoning or examples. Every research paper needs to have concise thesis statement that acts as a guideline and unifying element. This statement is critical as it gives summary of your entire research paper. Below are some guidelines that will help you in developing a strong thesis for a research paper. Begin by writing your thesis statement in a single sentence. This will enable your audience to have a clear outlook of your research paper. Use simple terms to define the statement and try as much as possible to summarize it to make it brief and understandable. You need to provide an answer to the research question so that your thesis statement can be effective. Bring out clearly whatever you are trying to prove; otherwise, your research paper risks being irrelevant from the very beginning. Try to counter the existing knowledge to justify that there is an existing gap; thus, the research is relevant. To develop a desirable thesis statement, you need to focus on the limited aspects of your research topic. You need to narrow down your research paper topic from the general aspect to the simplest and provide details. Avoid general aspects of the topic that seem to widen the scope of the research. To develop a thesis statement for a research paper, you need to focus on the limited aspects of your research topic. You need to narrow down your research paper topic from the general aspect to the simplest and provide details. If your research shows evidence to lead to other possibilities, it is recommended to change your thesis statement. The new changes or the possibility of the research taking new direction indicates that your current thesis statement might not be relevant unless it is changed. 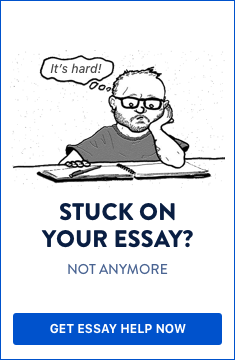 Ensure your thesis statement either complements or challenges most current studies. Before you proceed to extensive research, it is advisable to seek the approval of your supervisor or supervisory body. This will ensure that your research is legitimate. The supervisor will also help in guiding you on the fundamentals of research papers. It is advisable not to use first person in research paper writing. When writing a thesis for a research paper, your supervisor or instructor already knows that it is your paper; so, try to point out the background, objective and supporting evidence of the research. The expression “sports” suggests several descriptions: soccer, basketball, skiing, motor racing, cricket, to mention a few. The activities of these challenges, usually friendly in nature, depict participants engaging in skillful movements that see each side gaining points. There is one sport, though, that sees participants aiming at scoring points by throwing blows at another opponent’s body. The sport is boxing where the participant exchanges brutal blows that could see one or both of the opponents knocked out unconscious. Due to the short and long-term injuries or even deaths at the extremes that the participants experience, the rules that govern the game should be changed. In summary, writing a thesis for a research paper is a simple exercise if you adhere to the guidelines outlined above. It is imperative to start by writing a simple thesis statement, giving response to research question, specifying the research topic, adjusting to any new ideas if they arise in the course of the exercise, obtaining the approval of the instructor and adhering to basic writing requirements like avoidance of first person narration. These will enable you to develop a strong thesis for your research paper. Do you need help with writing a thesis for a research paper?